It’s a refreshingly different beverage to pair with any meal of the day. Prepare limeade with water in a large pitcher. 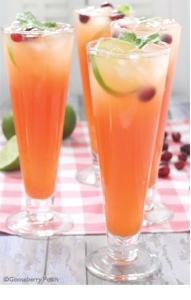 Stir in cranberry juice and orange drink mix. Pour over ice cubes in tall mugs or glasses. Garnish each with a sprig of mint. Makes 8 servings. This is an excellent make at home version ( I swap the sugar with Equal, lesser amount). The original Brown Derby, which opened on Valentine’s Day of either 1926 or 1929 (accounts differ) and moved one block away in 1937. Apart from the gimmick of the name and pretty good food, the restaurant had two things going for it. 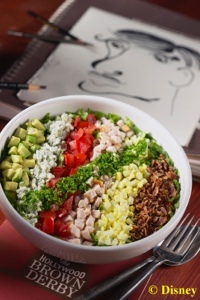 One was the Cobb Salad, which was invented at the Brown Derby, which was owned by the Cobb Family. As the delicacy caught on in other eateries, there was much publicity as to where it had begun, and many people wanted to to and try the original. 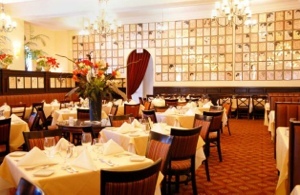 Many people also wanted to dine where the stars ate, and that was an even better reason to dine at the Derby. Like many restaurants where the big attraction is celebrity clientele, the proprietors advertised their famous patrons by covering the walls with their caricatures. Finely chop the lettuce, watercress, chicory and romaine, and arrange in a wooden salad bowl. Cut the tomatoes in half, remove seeds, dice finely and arrange in a strip across the salad. Dice the turkey meat and arrange over top of the chopped greens, Chop the bacon finely and sprinkle over the salad. Decorate the salad by sprinkling over the top the chopped eggs, chopped chives, and grated cheese. Just before serving, mix the salad thoroughly with Original Cobb Dressing. This is the French dressing which became so popular with the “Stars”. The cup of water is optional, depending upon the degree of oiliness or thickness desired in the dressing. 1 cup water, 1 cup red wine vinegar, 1tsp. sugar, juice of 1/2 lemon, 2 1/2 tbs. salt, 1 tbs. ground black pepper, 1 tbs. Worcestershire Sauce, 1 tbs. English mustard, 1 clove garlic (chopped), 1 cup olive oil, 3 cups salad oil. Blend together all ingredients except oils. Add olive oil and salad oils and mix well again. Chill well and shake before serving. Some patrons couldn’t get enough of the Roquefort cheese. This was the roaring “20s” and many people had never tasted anything quite like this, so they either loved it or hated it. One day Gloria Swanson heard that someone didn’t want their blue-veined cheese. “What a waste,” she declared. Not wanting to waste anything, she had the waiter blend it into her salad dressing before it was poured over the Cobb Salad. From that day on there were two choices of dressing–with and without. (The Brown Derby closed in 1985, but you can visit the Disney-MGM Studio theme park in Florida–minus the big hat). Coffee–Is it Really Good for You? Now that the slow days of summer are ending, you may need some more caffeine. Caffeine binds to adenosine receptors inm the brain preventing adenosine. A, a natural sedative, from attachint itself and making you feel drowsey. 1/4 teaspoon almond extract (if almond’s not your fav measure less/ substitute vanilla). 1/4 cup raspberries (or any fruit). 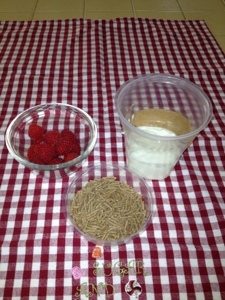 1/4 cup fiber breakfast cereal (I like eatwell Harvest-grain, High Fiber cereal). I kept my Starbucks’ parfait container and I mix the young art, extract, and sugar substitute in the container. I top this with my fruit. I use the small cup to store my dry cereal. 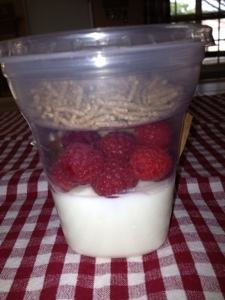 I pop the lid on and store in the fridge for my morning breakfast or mid- day snack. Easy, tasty, and less costly than pre made prices. Zero grams of trans or saturated fat. 11 grams of protein. total calories: 60 yogurt + 15 fruit + 20 cereal = 95. If you are really hungry bump your yogurt to 8 ounces. Your calories will only total 150! Why Do I Remember These Things? You know how it is, you read a hint in the newspaper or online, a friend/grandmother passes along a gem of information. . .and you store all of this information way for future reference. I decided to share a few of these hints. First because I enjoying sharing via my blogs and Pinterest boards, and secondly because I really, really need to stop recalling these ‘gems’ at 2:30 in the morning! ~ Pick the first bag. USDA research shows that spinach packed in clear containers and continuously exposed to supermarket lights maintains photosynthesis. The best bet for nutrition is the bag basking in the front. ~Crack eggs like pro. No tapping your eggs on the side of a bowl or with the edge of a knife blade. Instead, tap on a flat (paper towel covered) surface. This ensures the shell doesn’t break into smithereens. ~Chill your cookie dough. If not overnight, at least for two hours. Chilling ensures the dough is cold and dry. 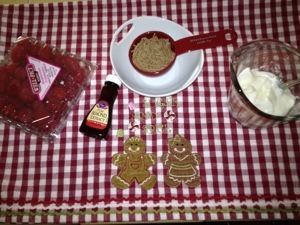 The cookies will bake and brown more evenly and will spread less on the baking sheet. ~This hint is one I have yet to try but sounded interesting: Before roasting–take a blow dryer to your chicken. Use the no-heat setting to dry the skin. The circulating air is reported to help draw the moisture from the skin, resulting in a crispy crust when roasted in a hot, dry oven. Looking for a Better Butter Swap? Cut saturated fat and cholesterol from butter with two tasty tips from Danny Boone, host of Recipe Rehab. ➡ Spread avocado on toast, it’s yummy, with fiber, vitamin C and potassium. ➡ Substitute Greek yogurt for butter in baking to add protein and moisture and cut calories. Use 1/2 cup Greek yogurt for every 1 cup butter in a recipe.